Cape Central High librarians Mildred Vogelsang, left, and Bonnie Wilkening work on a stack of Plato’s The Republic. The short answer to that question was the young whippersnapper who followed me: Richard Neal, Tom Hopen, Skip Stiver and Steve Trickey, but I thank her for asking. A Google search for information about Bonnie Wilkening came up pretty dry. There was a Missourian Sept. 29, 1999, feature, a collection of “You’re from Swampeast Missouri if…” contest entries that included a Bonnie Wilkening contribution, “You update your white styrofoam dice hanging on the rear view mirror of your car to fluorescent orange.” I don’t know if it’s the same person. The Missourian’s Oct. 31, 1997, obit reported that Mildred Wilhemina Vogelsang, 87, a former teacher, librarian and historian, died Wednesday, Oct. 29, 1997, at Cape Girardeau Residential Care Center. She was born Feb. 7, 1910, in Cape Girardeau, daughter of Henry H. and Hermena Christine Geldmacher Vogelsang. Vogelsang [This is a departure from the obituary style we followed in my day. We would have used Miss Vogelsang.] was a graduate of Southeast Missouri State University, and received a master’s degree in library science from Vanderbilt University in 1946. 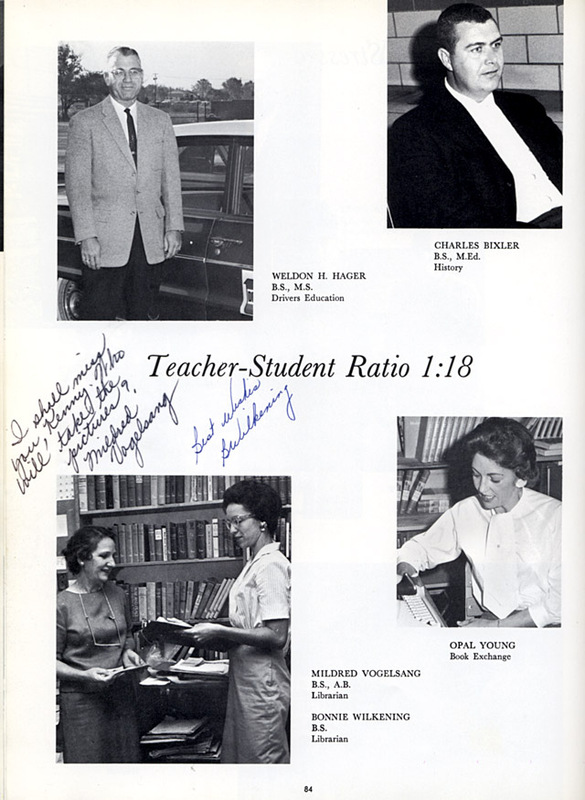 She was a teacher in Cape Girardeau Public Schools from 1934-43, then was librarian at Central High School until 1972. 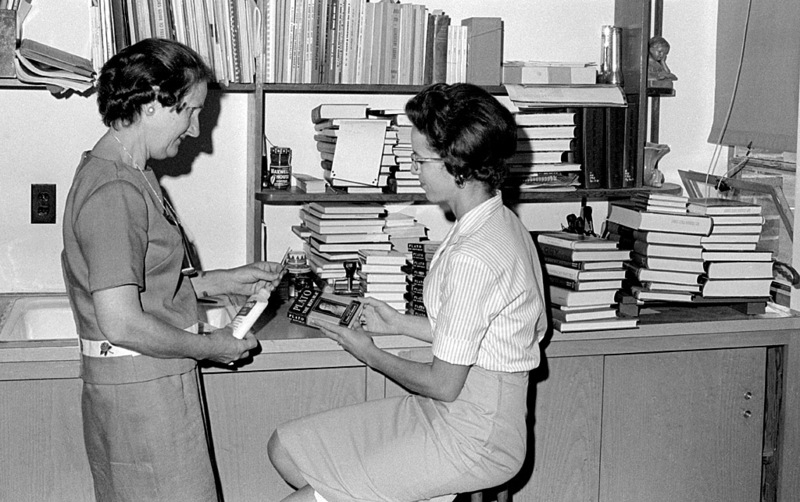 In 1953 she served as president of School Librarians of Southeast Missouri District when it was first organized. She worked on the curriculum committee in the State Department of Education to prepare a Guide for School Libraries. She served as the president of the Missouri Library Association in 1967. 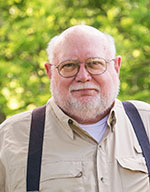 Vogelsang served three terms as trustee of Cape Girardeau Public Library, had been librarian with Historical Association of Greater Cape Girardeau, and was an historian of Old Lorimier Cemetery. She was a member of St. Andrew Lutheran Church. Survivors include a nephew, James Vogelsang of Cape Girardeau; and a niece, Jane Schueltz of Toledo, Ohio. May 21, 1936 – Broadway school fourth and fifth graders at Broadway School appeared in a two-act operetta, The Magic Slippers, in charge of Miss Mildred Vogelsang and Mrs. Elsie Clack. November 18, 1975 – Pupils Look to Teachers for Guidance, the second in a series of articles written for The Missourian in observance of American Education Week. 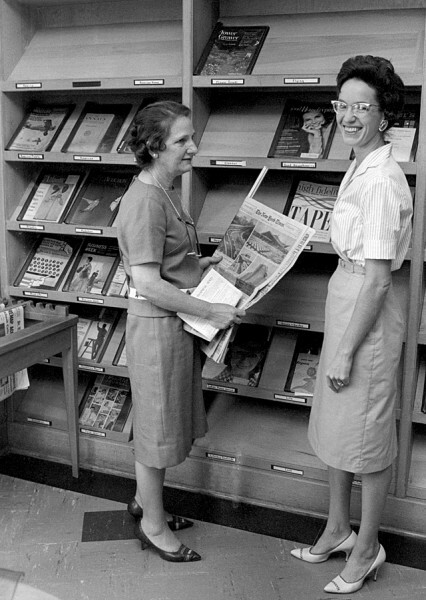 OMG, Miss Vogelsang was librarian back at the old Pacific St. H.S.! Mrs. Wescot presided over study hall while Miss Voglesang worked away with student help. That library was always in disorder, but well used. I didn’t realize James (Squirrel) Vogelsang was Miss Vogelsang’s nephew. Of course there was a “lot” that went over my head back then. I got detention because I couldn’t keep my mouth shut in study hall. That was 9th grade. By 12th grade I was a library assistant. Guess they didn’t hold that talking thing against me. 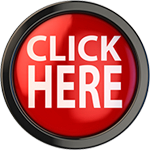 I receive the monthly newsletter from the Evangelical United Church of Christ in Cape. As of the March newsletter Bonnie Wilkening was still alive, but was house bound. ,as we all called him,was a WW2 POW.Very stern. Just a shot in the dark: are you the Jim Luckett who lived in Berkeley, California in the mid 70’s? I recollect him being from Terre Haute originally, then moving to Cape G. later in life, but just in case you’re my old friend, get in touch! Failing that, perhaps you might know him or his family? Thanks. I believe Mrs. Wilkening was librarian when I attended Schultz School for 7th grade. My Aunt Mil was a wonderful person… plus an excellent librarian. I can remember growing up Aunt Mil spent 12 months a year working in the library. 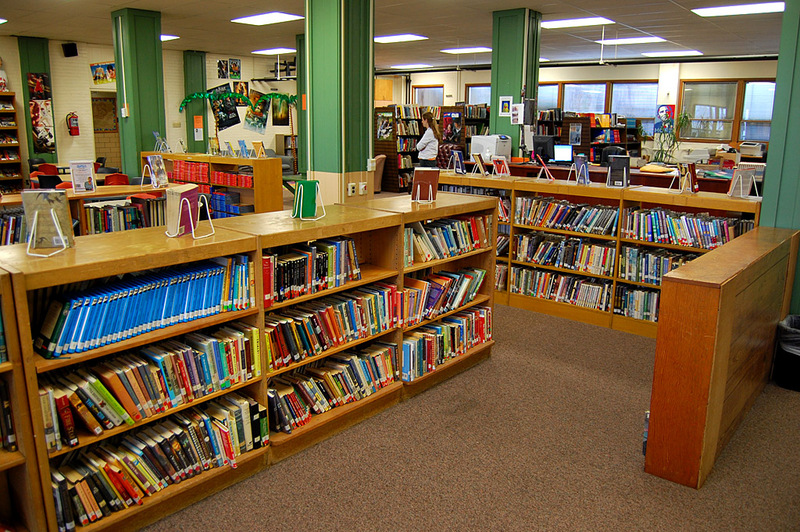 She wanted the library at CHS to be one of the best in the state of Missouri, and it was. I WORKED IN THE LIBRARY DURING SOME OF MY STUDY HOURS WITH MISS VOGELSANG AND MRS. WILKENING. I WORKED ON THE PERIODICALS AND FIXING SOME OF THE BOOKS THAT NEEDED REPAIR. tHEY WERE BOTH WONDERFUL AND DEDICATED LADIES.